Yes, we’re here again! 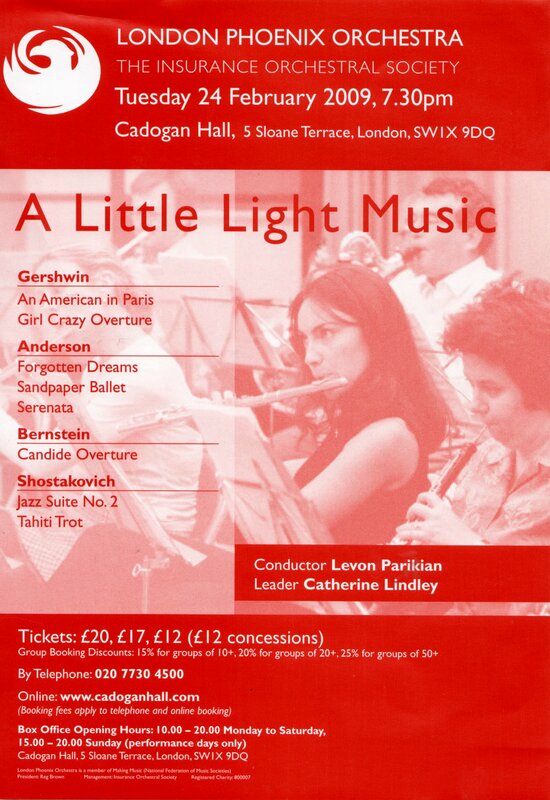 Lev Parikian conducts the London Phoenix Orchestra in a scintillating programme of American and Russian light music, with overtures to two great shows – Gershwin’s Girl Crazy and Bernstein’s Candide – and Gershwin’s brilliant tone picture, An American in Paris. And there are three nice little pieces by Leroy Anderson (whose centenary was last year), and the so-called ‘Jazz Suite No. 2’ by Shostakovich, which isn’t jazz at all but is, er, a lot of fun (especially for the saxophonists). Oh, and Shostakovich’s ‘Tahiti Trot’, better know to you and me as ‘Tea for Two’. It’s on Tuesday 24 February (which happens to be my birthday) at Cadogan Hall. Yes, the London Phoenix Orchestra has another concert next week. 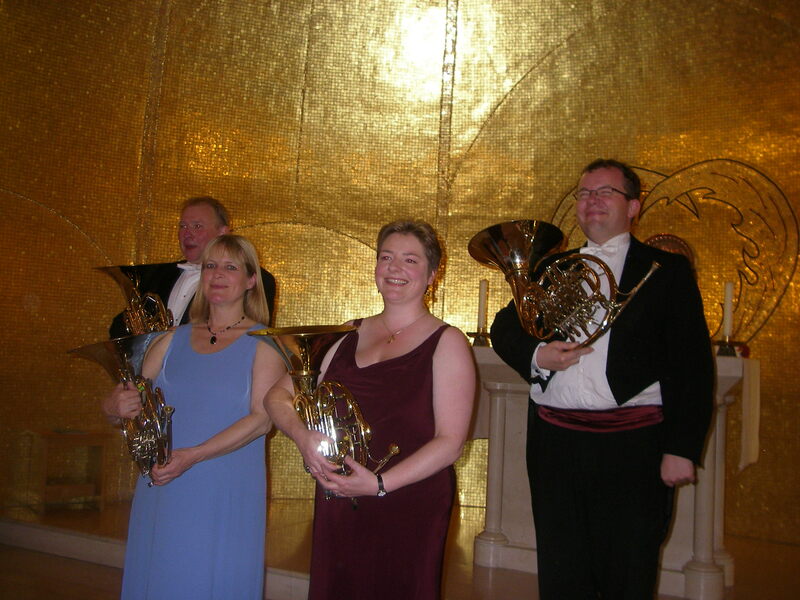 It’s a ‘rush hour’ concert at St Andrew’s, Holborn, in the city of London, at 6.30 pm on Tuesday 2 December. Nice short programme, so we’ll all be in the pub by 7.30 (you included, if you come!). Catherine Lindley leads the orchestra, Lev Parikian conducts. 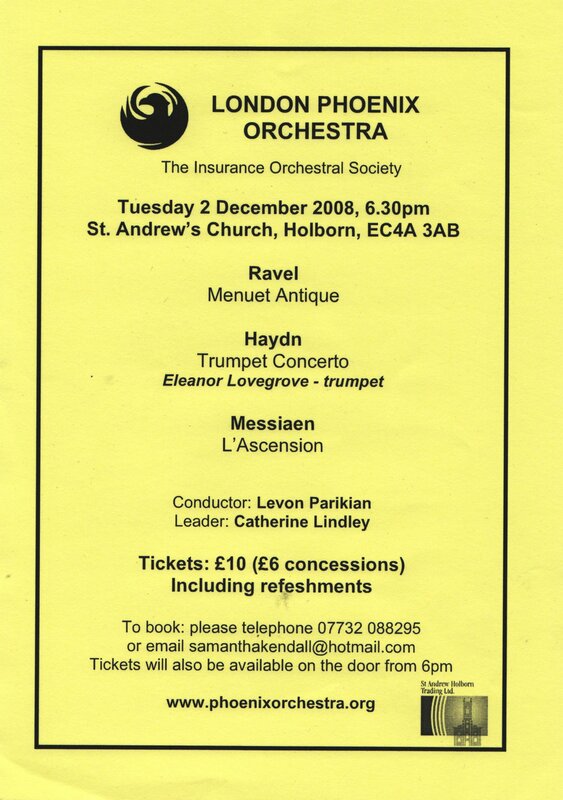 Ravel‘s stately but slightly weird Menuet Antique is followed by the amazing Ellie Lovegrove in the Haydn Trumpet Concerto, then we finish with an ambitious choice — Messiaen’s L’Ascension. Extraordinary organ-like textures and dazzling colours. Phoenix Orchestra concert next week! Yes, the London Phoenix Orchestra has a wonderful concert coming up next Thursday, 23 October at 7.30 pm, at St John’s, Smith Square, London SW1. Great programme, beginning with Glinka‘s rollercoaster overture Ruslan and Ludmila, then Rachmaninov‘s not so well-known Piano Concerto No. 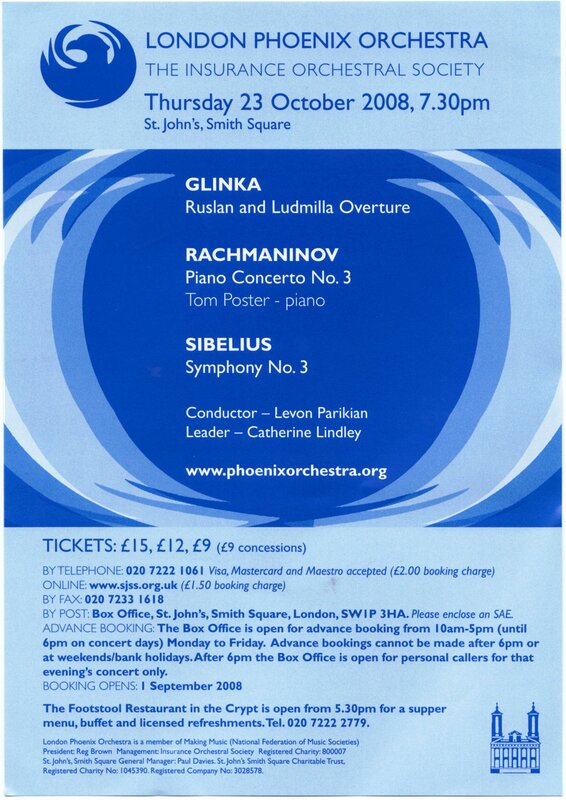 3 with soloist Tom Poster; then Sibelius‘s SYMPHONY NO. 3, again not so well known as some of his others but a little gem. Don’t miss it! our conductor, as always, will be the ever amazing and inexhaustible Lev Parikian, leader Catherine Lindley. Phoenix Orchestra does Opera — it’s tonight! Yes: the London Phoenix Orchestra’s next concert will be an amazingly full programme (ten items — incuding two full-sized overtures!) of operatic treats, starring Mary Nelson, Amos Christie and conductor Lev Parikian. It’s on 18 October at St John’s, Smith Square at 7.30; do come, and bring all your stage-struck friends… Check the orchestra’s website for details. Hope to see you there!